So you’ve listed an amp to sell on Reverb.com and then BOOM, it’s sold! What's next? You’ve gotta pack it up and ship it out! 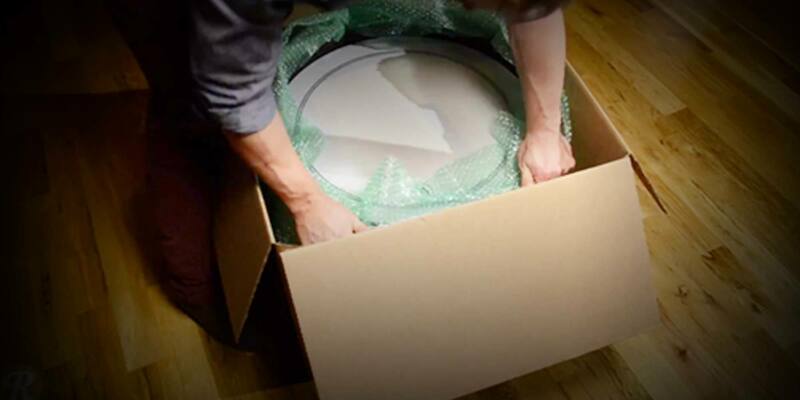 Here is our how-to guide on shipping an amplifier as safely and securely as possible. 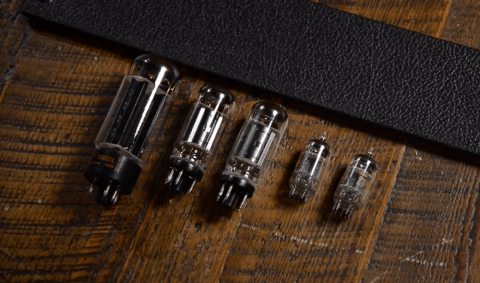 First thing you’re gonna want to do is properly remove any tubes in the amplifier. You want to unscrew any back covers so you can access the tubes. In most cases they’re located in the back of your amp. When removing the tubes, gently work the tube in a circular motion. Tubes are fragile so be sure not to force them out. Once you’ve pulled them all out, wrap them in bubble wrap. The larger tubes can be wrapped individually, but for smaller tubes you can wrap a few side by side. Once they’re all ready, you want to place them in their own box that you’ll eventually pack into the larger box with the amp. For best practice, tape it up and write “Tubes” on the outside of the box to make sure they’re not discarded when the new owner opens the package. Heading back to the amp, you want to wrap the power cable with a rubber band so the cable doesn't whip around in transit and potentially puncturing the speaker. 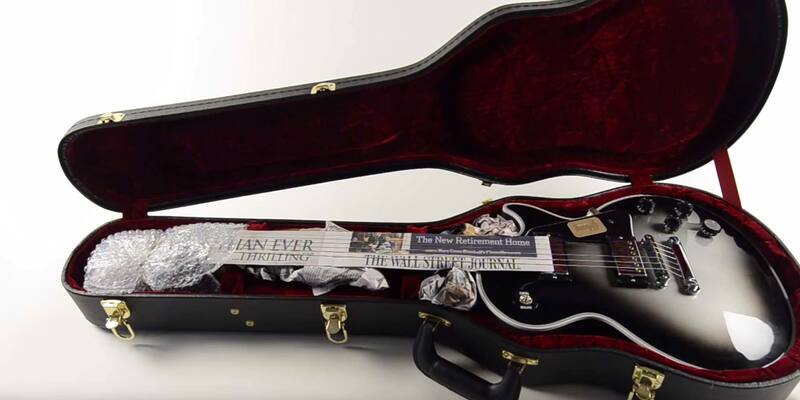 Then wrap the chord in newspaper. Use a piece of cardboard to keep it snug and separated from the speaker. Feel free to fill the back with more paper to make sure everything stays put during transit. 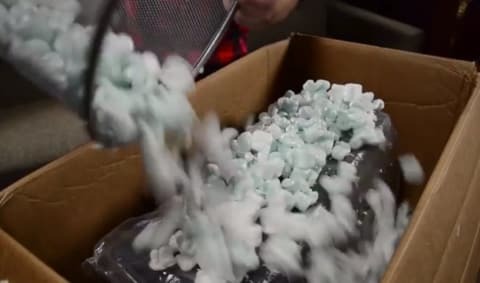 The most convenient and common shipping material is packing peanuts. If these are being used you want wrap the amplifier in a bag or plastic to prevent the packaging peanuts from filling into the open back of the amplifier. Start by filling the bottom of the box with styrofoam. This is going to keep the box sturdy and prevent the amp from moving around too much in transit. Once you’ve placed the amp in the box— equidistant from the surrounding cardboard walls—you can proceed to fill the spaces between the amp and the box. Be sure to include your small box of wrapped tubes as well. Fill all the available space in the box so that nothing can move around and and tape it up! Hit all sides with tape and be liberal with it—you want the packages to stay shut. Give it the old shake test and listen to make sure nothing is moving around. Once thats done you can slap a label on it and mail it out! Ready to sell an amp? List it on Reverb! 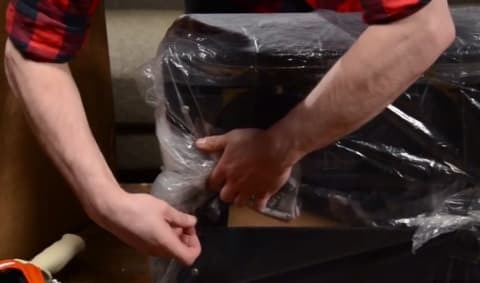 Shipping an amp or a guitar in a case in like putting a square peg in a square hole. Right size box, plenty of padding, de-tubed and de-tuned, done. But shipping an entire drum set?